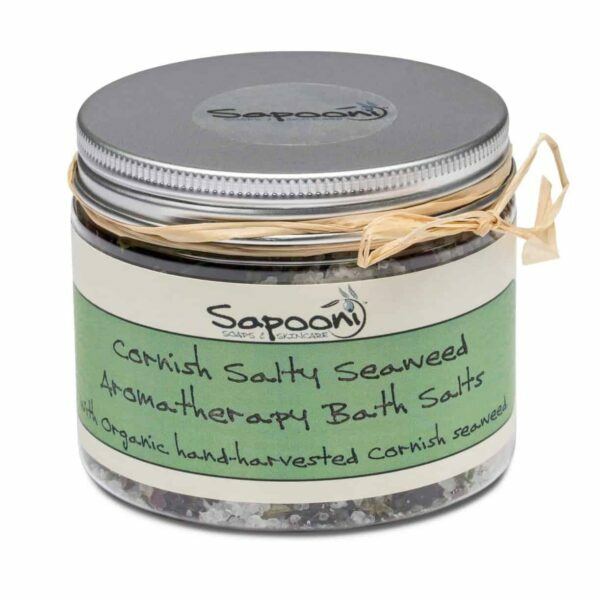 Our Cornish Seaweed Bath Salts are nourishing and detoxing, expertly formulated with Organic seaweeds and Seaweed Extract. 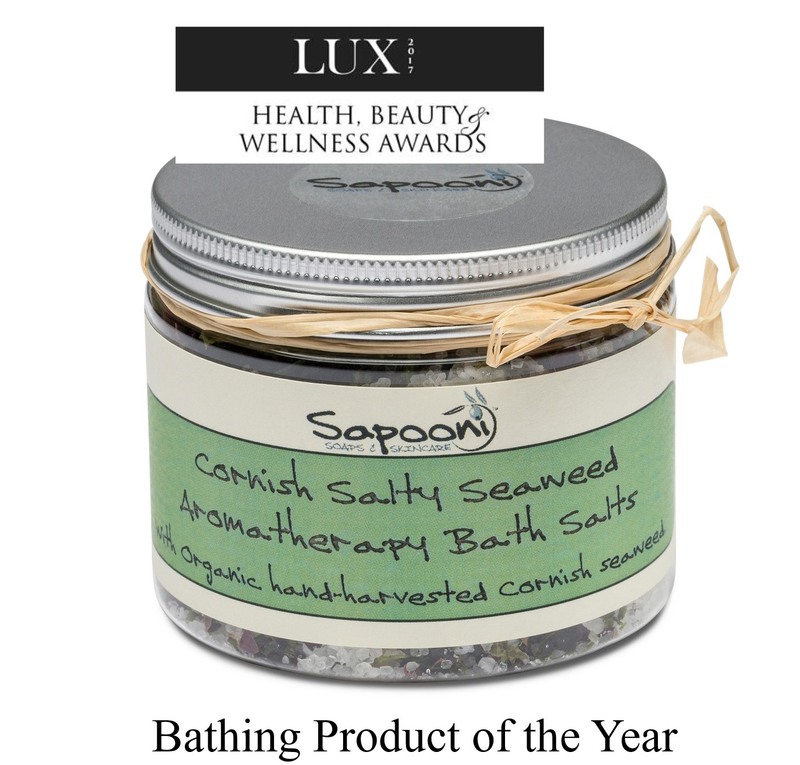 Our Cornish Seaweed Bath Salts were awarded “Bathing Product of the Year” 2017. The star ingredient is our blend of hand-harvested, Organic Cornish seaweeds – including Nori, Dulce, Kombu, Bladderwrack and Sea Lettuce, which are packed with minerals, vitamins and proteins, and are renowned for their detoxing qualities. 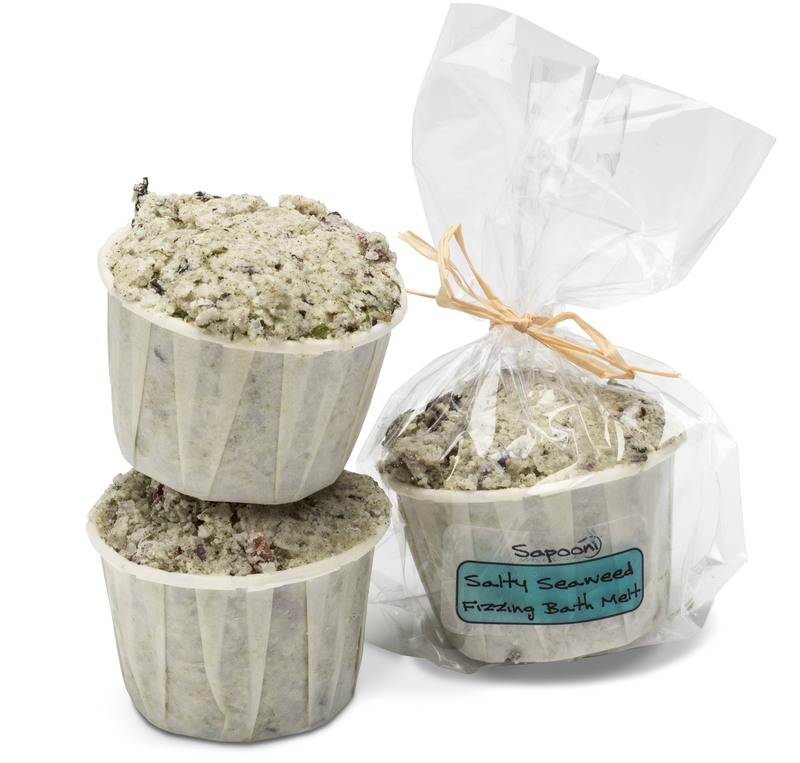 Based on a combination of sea salts (including a sprinkling from Cornish waters), and Epsom salts, which melt immediately into warm water for a skin-softening soak. We’ve chosen essential oils for their refreshing, uplifting qualities-our unique blend includes Lemongrass, Peppermint, Rosemary and Lavender. Add a generous sprinkling of these therapeutic bath salts to a deep, warm bath to release their wonderful scent and water-softening qualities. 200g jar, finished with a hand-tied raffia ribbon. 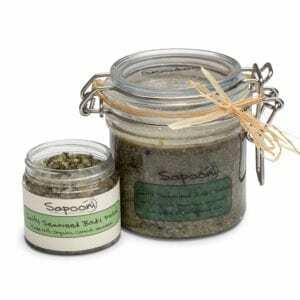 Organic Seaweed; Contains over 40 vitamins and minerals in high concentrations, and has been used historically for its detoxing properties and as an aid to skin healing. Our blend is hand-harvested from the clear waters around the cornish coastline. Seaweed Extract; Rich in vitamins and minerals to protect and maintain the skin’s natural balance. Seaweed Extract has a soothing marine botanical that relieves irritation caused by the environment. It is said to help reduce acne and help improve the skin’s tone. Cornish- harvested sea salt; We add a sprinkling of flaked sea salt crystals from Cornish waters to every batch, so there’s a little bit of the Cornish seaside in every jarful. 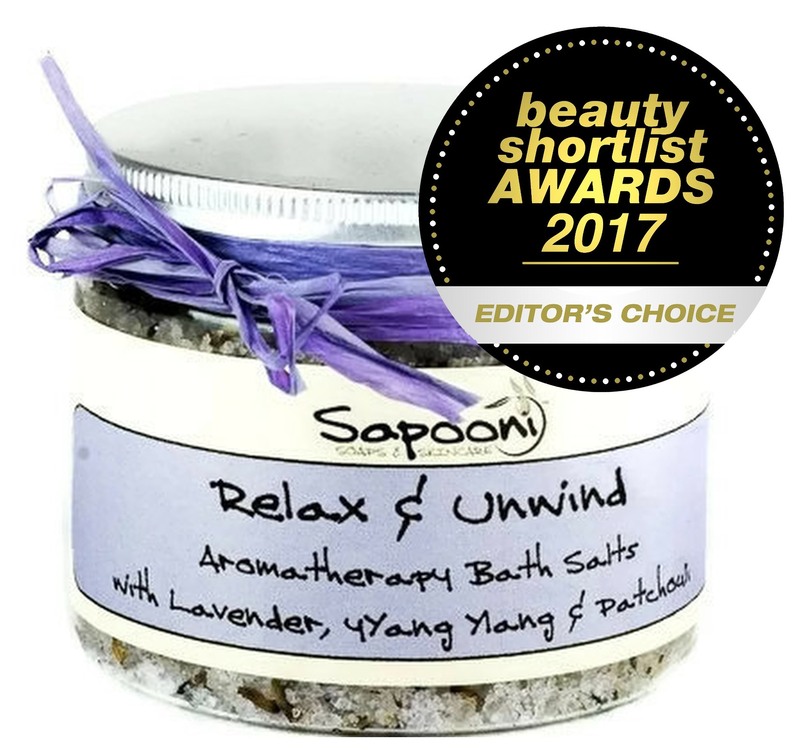 Epsom Salts; Rich in minerals, reputed to help to relieve stress, soothe tired muscles and soften skin. Uplifting Essential Oils of Lemongrass, Peppermint, Rosemary and Lavender. 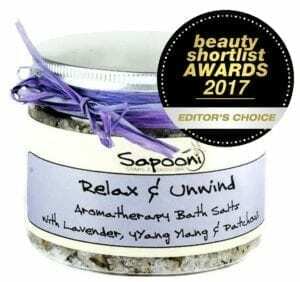 Sodium chloride( sea salt, coarse & fine), Magnesium sulphate (Epsom salts), Lavandula angustifolia (lavender)oil. Rosmarinus officinalis ( Rosemary) oil, Cymbopogon schoenanthus (lemongrass) oil, Mentha pipperata (peppermint) leaf oil, Seaweed – Laminaria digitata (kombu), Pulmaria palmate (dulse), Fucus Vesticulosus (seaweed) extract, Porphyra species (nori), Sea lettuce (ulva sp.) in season (may vary). Naturally occurring in essential oils; Coumarin, Geranoil, d-limonene, Limonene, Linalool, Eugenol, Citral, Citronellol.